Congratulations to our HB Award Winners! 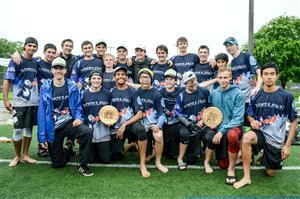 The HBW Boy’s Varsity team won the 2016 USA Ultimate Virginia Boys’ HS State Championship over Yorktown. Congratulations to all of our frisbee players. 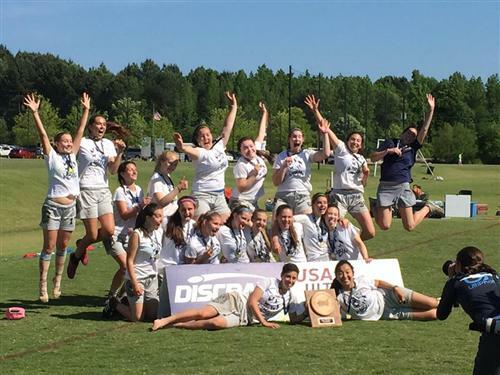 Our Varsity Frisbee players participated in the USA Ultimate 2016 High School Southern Regional Championships this past weekend (May 14 & 15, included teams from Maryland to Texas) and did great! The guys came in 3rd and girls won 1st place! YMCA-Arlington sponsors MGA at the Arlington Career Center, H-B Woodlawn, Wakefield and Yorktown high schools through funding provided by The Boeing company, Knights of Columbus and the Columbus Club. MGA is widely considered the finest citizenship-training program in Virginia. This year 525 students from across Virginia participated in the three-day session April 16-18 at the State Capitol. Students served as senators, delegates, officers, lobbyists, reporters, and underclassmen legislators. General Assembly members, state agency personnel, and lobbyists assisted them as they learned about Virginia’s legislative process. Gongadze will represent Virginia at the National Youth Governors Conference in Washington, D.C. and will meet with Governor Terry McAuliffe as well as members of the General Assembly in January 2016. She will address the Opening Joint Session of the 69th Model General Assembly in April 2016 at St. Paul’s Episcopal Church, adjacent to Capitol Square and will decide which 2016 MGA student bills will be signed into MGA laws. Cole’s artwork The Island Adventure (Comic Art) will be on display in New York at the Sheila C. Johnson Design Center, Parsons – The New School for Design. SkillsUSA is a partnership of students, teachers and industry working together to ensure America has a skilled workforce. SkillsUSA helps high school and college students who are preparing for careers in trade, technical and skilled service occupations, including health occupations. Julia and Max will now go to the National Competition in Louisville, Kentucky on June 24-25. Congrats to all 4 H-B students for representing Arlington so well at State!